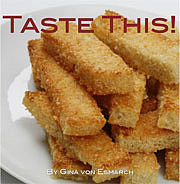 Published on December 22, 2012 in General. 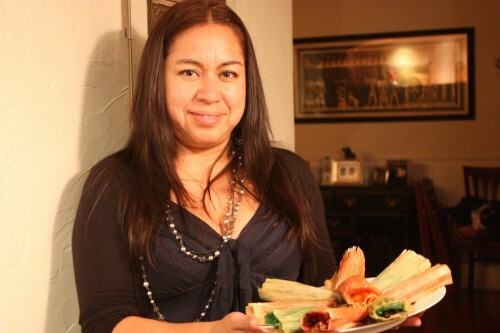 1 Comment Tags: sweet tamales, tamales, veronica's sweet christmas tamales. 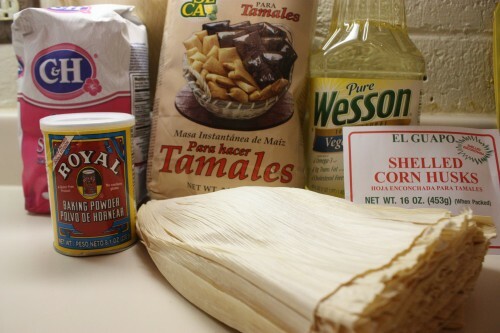 While this may *look* like a complicated recipe, it is *really* quite simple to make tamales. Time consuming, but simple. 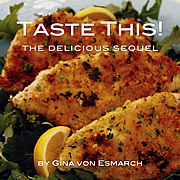 Don’t be afraid of the length of this recipe. I’ve tried to error on the side of being overly detailed. 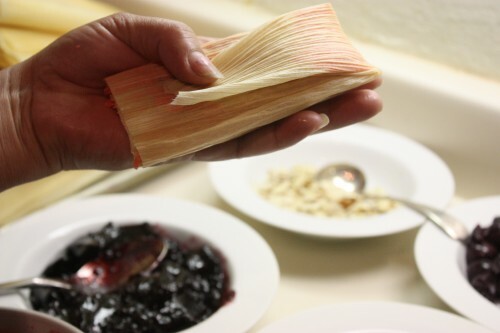 Since it was my first time making tamales, I wanted to ensure that any other novice tamale makers could also succeed. 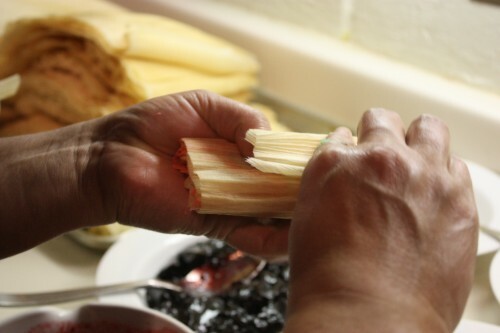 Total time to prepare and cook this large quantity of tamales (9 dozen) is about six hours. 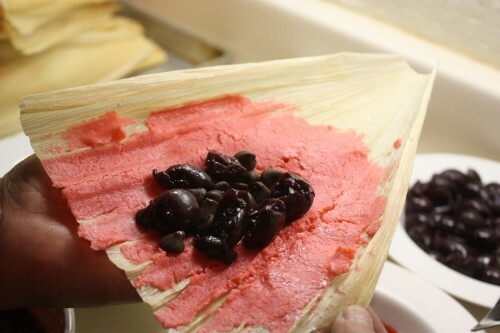 The recipe can certainly be cut in half but I recommend inviting some friends over and making a tamale party of it – extras can be frozen to be enjoyed at a later date. 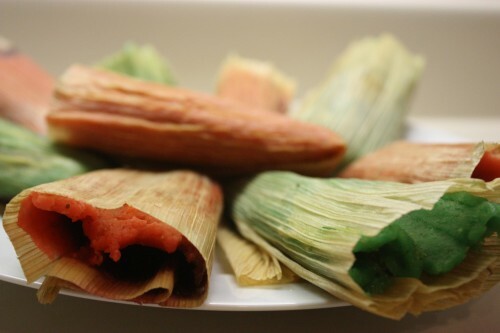 Place corn husks in a large bowl, baking dish or pot, cover completely with water, and weigh down with a plate or bowl to fully submerge. 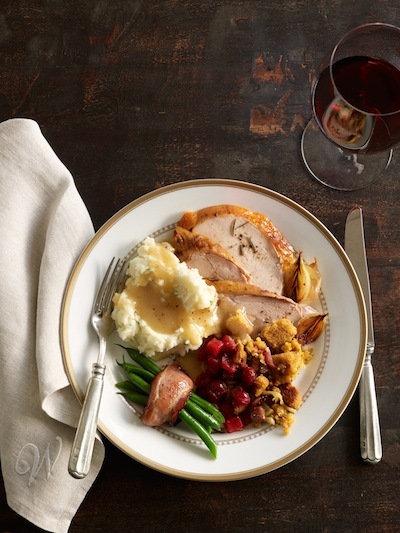 Soak until husks are very pliable, about 1-2 hours at room temperature or overnight in the refrigerator. 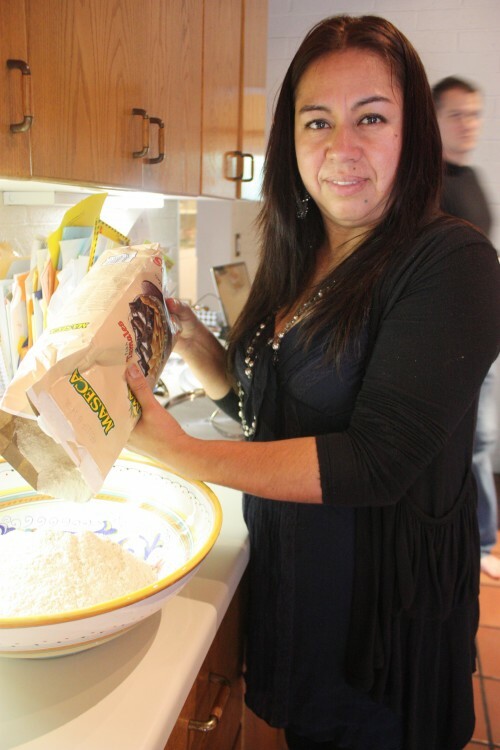 Drain, squeeze out excess water, and wipe dry. 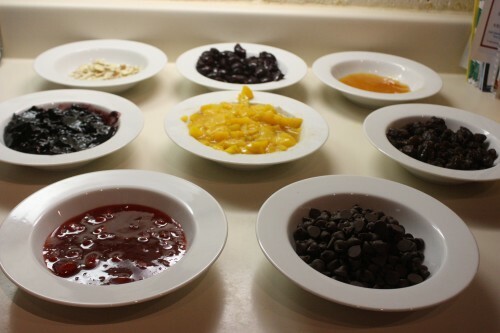 Place raisins in a small bowl, cover with hot water, and soak until plumped, at least 15 minutes. Drain and set aside. 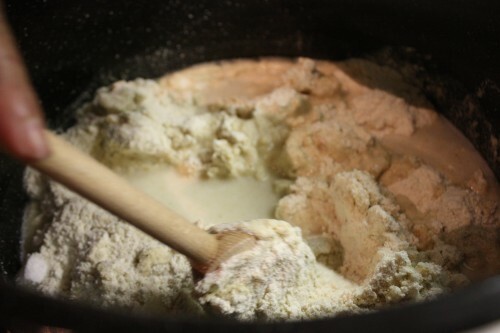 Using a large bowl or pot mix masa harina and sugar by hand, then add water and mix until a dough is formed with a consistency of thick batter. 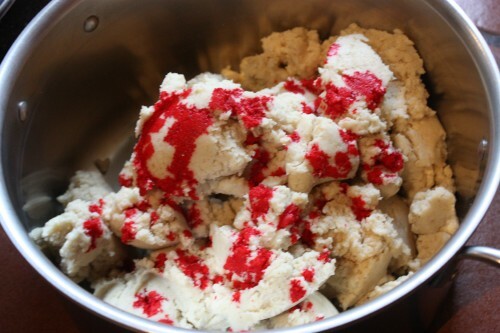 Mix oil and add vanilla together. 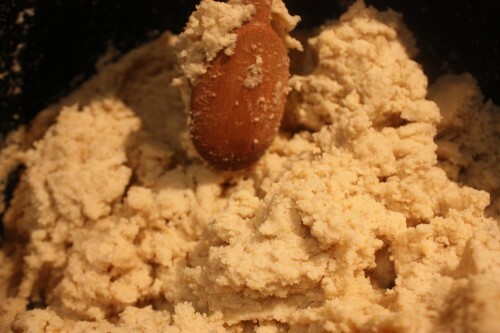 Add oil mixture to masa and mix all ingredients until blended. 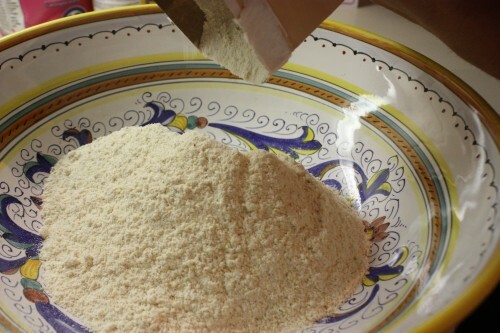 Add baking powder and let dough rest for 5 minutes. 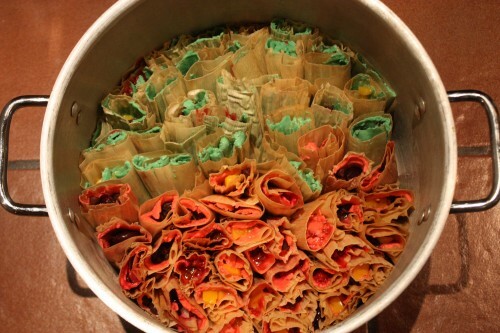 Divide dough in half and color half of the dough with the red food coloring and half with green food coloring. 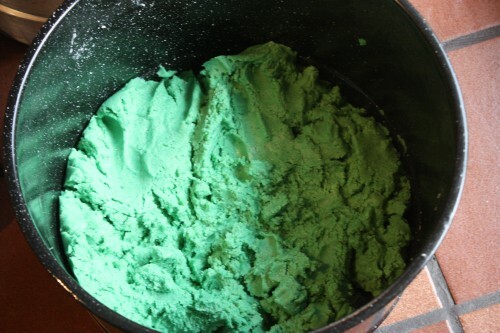 Mix until uniform in color. 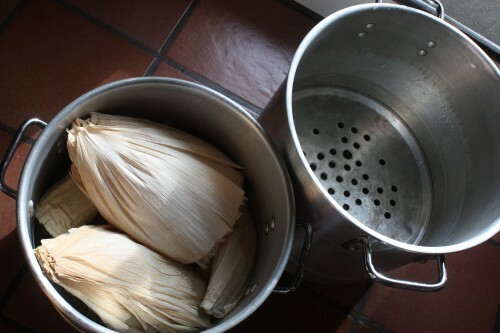 Place a steamer basket in a large pot (or a tamale pot) and fill the pot with enough water to reach the bottom of the steamer. 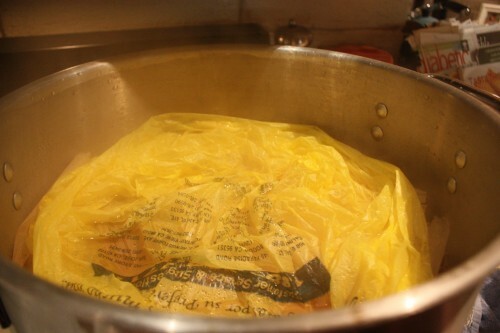 Cover and bring the water to a simmer over low heat. 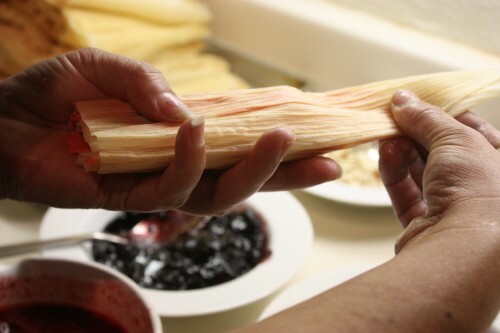 Lay a corn husk in the palm of your hand, or on a clean work surface, with the wide edge toward you (this is the bottom). 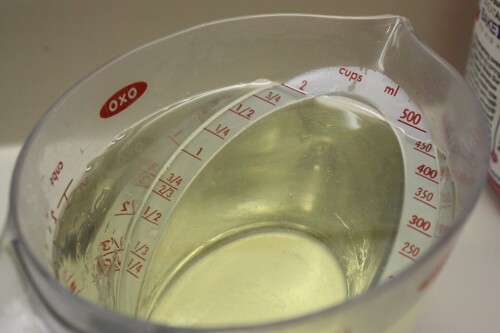 Measure 1/3 cup dough and shape into a cylinder about 3 inches long and 1 inch in diameter. 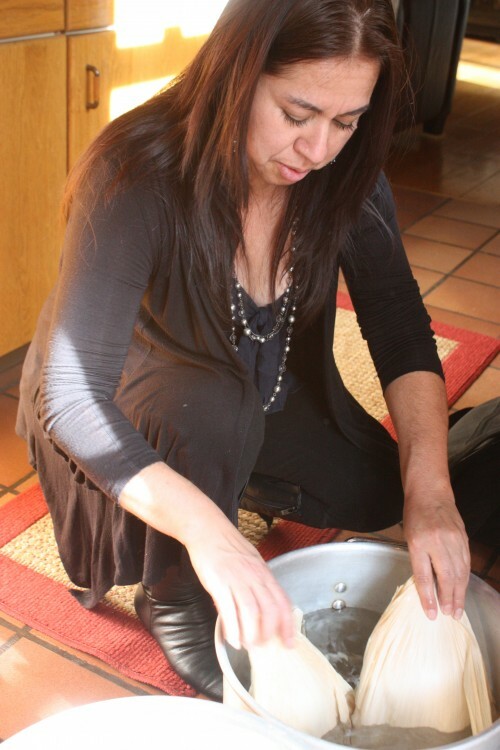 Lay dough lengthwise in the center of the husk, leaving about a 1/2-inch border at the bottom. 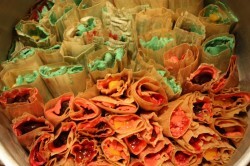 Tightly close the left side of the husk over the filling and roll to the right as if rolling a cigar. Fold the top of the husk (the empty, tapered edge) back over the filled husk to close. 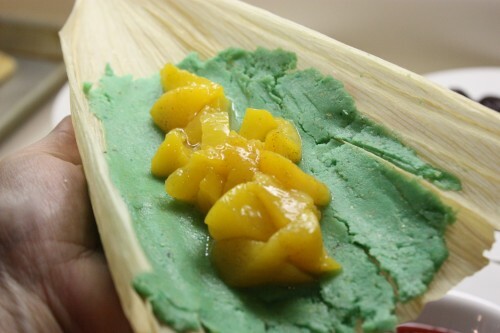 (If your husks are particularly small or they don’t want to stay closed, use a bit of corn husk to tie them closed.) 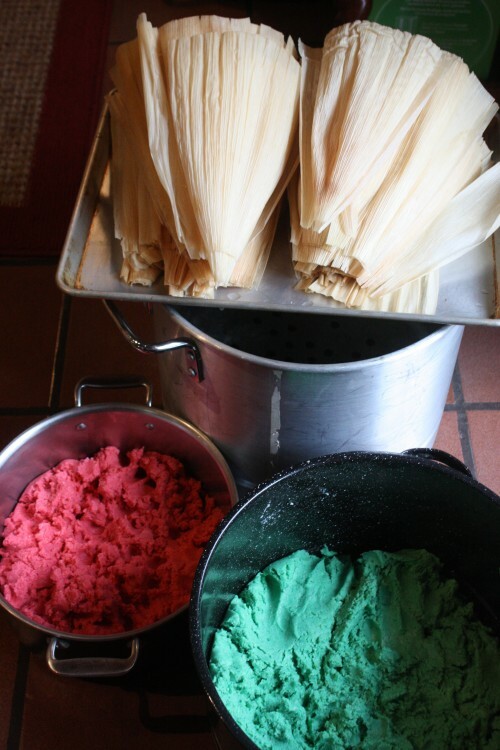 Repeat to make approximately 9 dozen tamales. 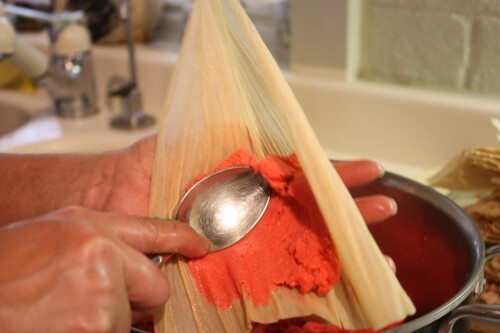 Arrange tamales upright in the steamer with the open ends facing up. 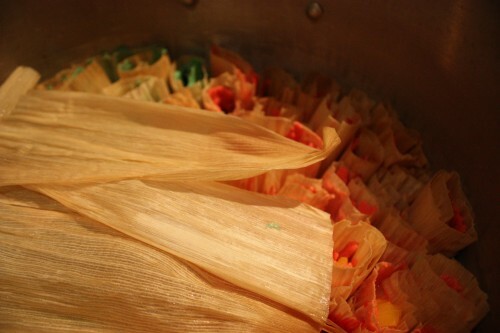 (If making less than a full recipe, the steamer could be too big to hold all of the tamales snugly together, in which case you can place a small heatproof bowl upside down in the center to stabilize the tamales). Cover with a plastic bag and steam until the dough is set, no longer raw-tasting, and pulls away easily from the husks when unwrapped, about 1 1/2 to 2 hours. 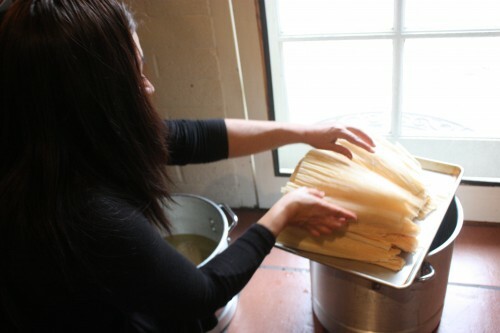 Turn the heat off and let the tamales rest for 15 minutes before serving. 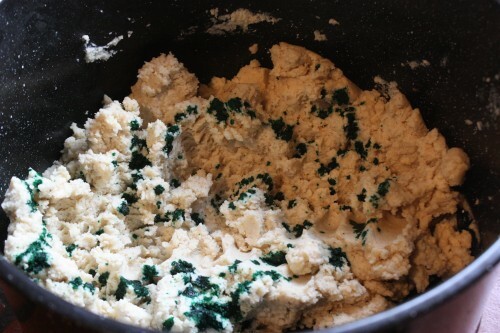 Place all ingredients in a large bowl and mix. 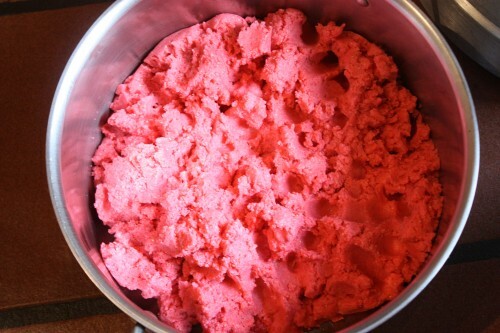 Mix and toss until blended. 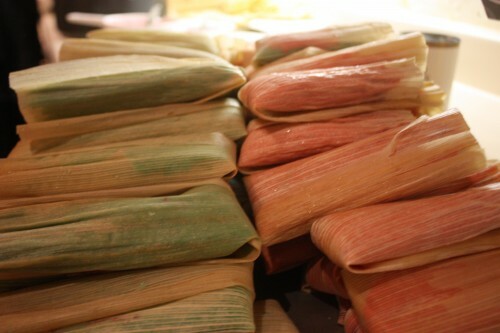 This quantity is enough to fill 30-40 dried corn husks. These are absolutely beautiful! All of the fillings sound delicious. Thank you for sharing.